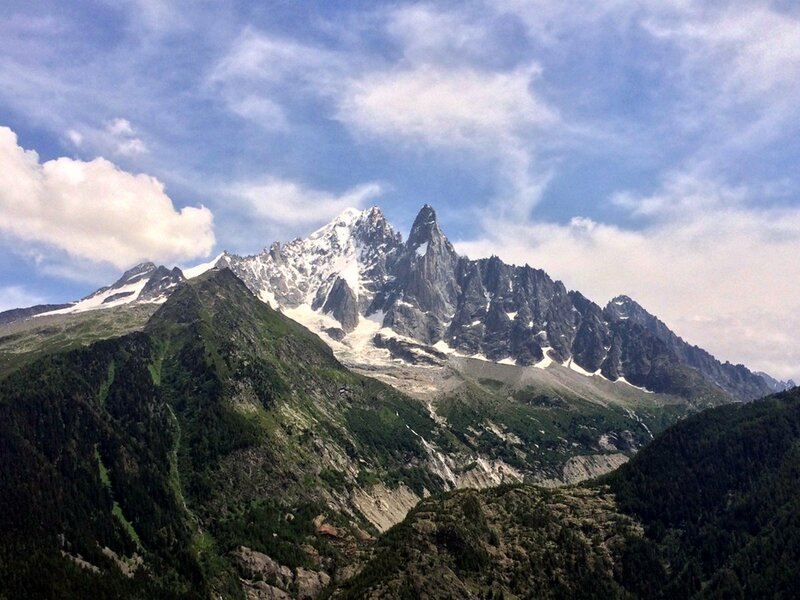 The Lac Blanc Hike is possibly Chamonix's most famous walk. 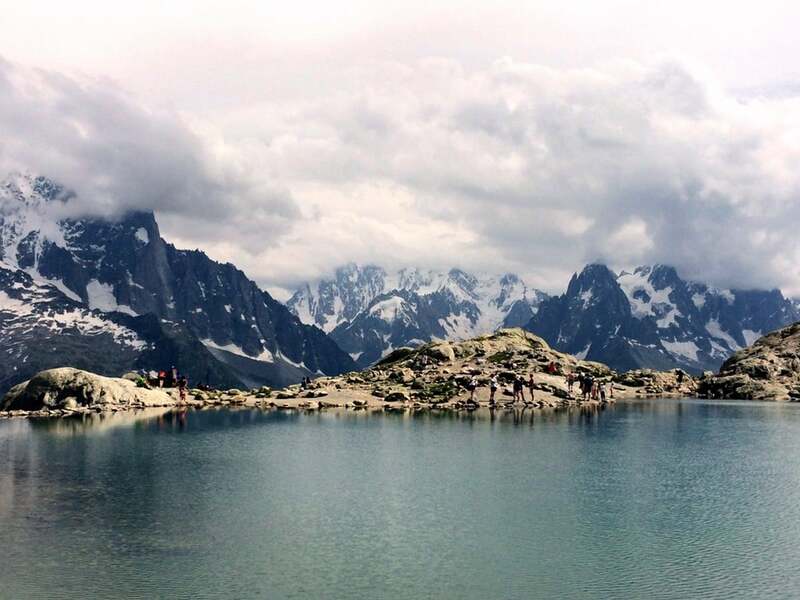 Every hiker coming to Chamonix should make the hike to Lac Blanc, one of the hiking highlights of the Tour du Mont Blanc. A classic, high-mountain panorama reflects onto a lake surrounded with snow for much of the year. 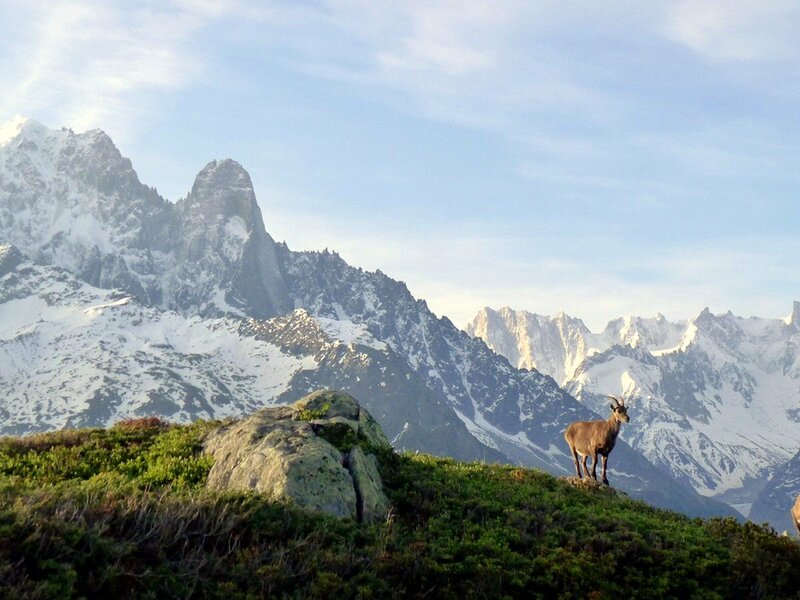 Lac Blanc sits next to a welcoming refuge, and while hiking you will likely see Ibex and marmots in the surrounding nature reserve. Take the Téléphérique de La Flégère lift from Les Praz de Chamonix, a village North of central Chamonix. You will then take the L’Index chairlift from the top of La Flégère. Yes, at FlÃ©gÃ¨re lift station and Lac Blanc refuge. The hike to Lac Blanc uses lifts.  When buying your tickets at the Téléphérique de La Flégère cable car station, explain your planned itinerary (Lac Blanc from the Index lift, walking down to Flégère mid-station) as it’s best to check with the staff at the lift station to confirm that the path is accessible. They may suggest a different route according to conditions. Take the lifts to get to the top of L’Index. 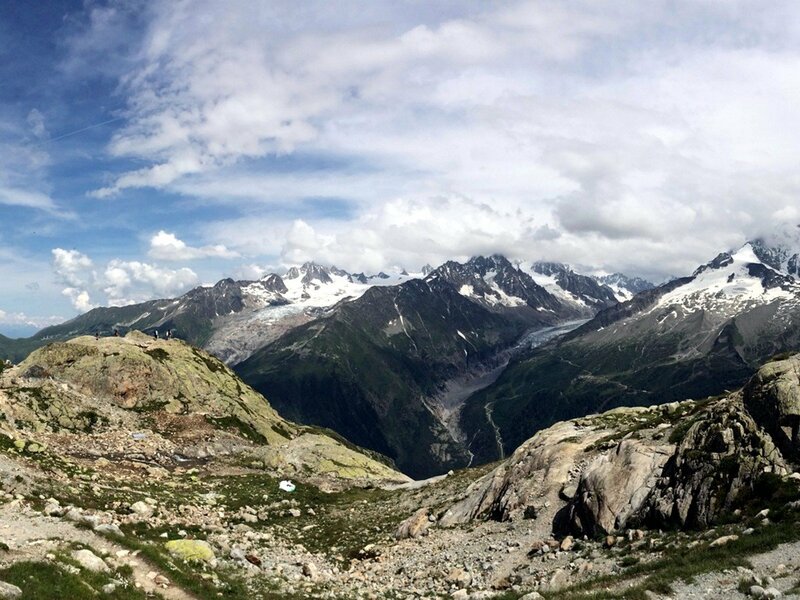 From here, turn right (away from Mont Blanc) and follow the signed hiking trail to Lac Blanc. This high rocky path undulates along a clearly marked but stony route. You need good ankle support in your shoes for this one! Keep an eye on your feet, though it’s hard not to be distracted by the panorama of the Mont Blanc Massif unfolding on your right. To your left, the Aiguilles Rouges rise above you – look out for the bright shapes of people scaling the popular climbing routes. This part of the Lac Blanc hike has a high alpine, adventurous feel as it winds in and out of the rocks. There is a lot of wildlife on this hike. 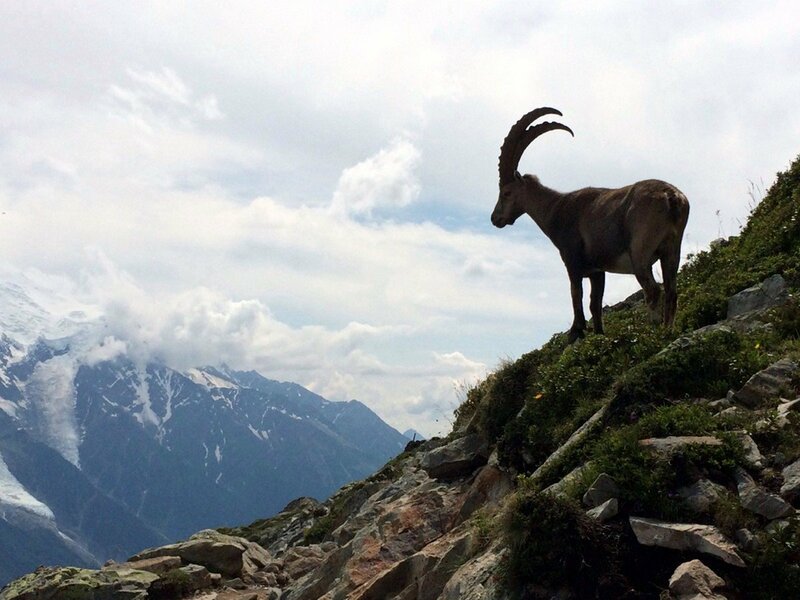 Listen out for the high whistle of marmots and see if you can spot them – ibex also frequent this area, and eagles. The path is clearly signed with red paint marks along the way. After about an hour and a half, you’ll arrive at the junction with the Lac Blanc path that ascends from Flégère (and the path you will descend on later). The crowds often increase dramatically here. Continue following signs to Lac Blanc. The path climbs up in zig-zags towards the lake – you can be walking through snow here well into July in some years. You emerge at a picture-perfect scene, with the cheery parasols from the terrace of the Refuge du Lac Blanc fluttering over the lakes. Hike around the water to revel in the astonishing setting and see the reflections of the mountains shifting as you move. The refuge is a nice place to eat, serving simple lunches, or pick your ideal picnic spot and enjoy. Dipping your toes in the freezing water is fun but swimming is discouraged due to the delicate ecology of the lake – also it really is incredibly cold! Return via the marked path towards the Flégère mid-station. Start by back-tracking but then don’t take the Index turn-off after the zig-zags – carry on downwards, following signs to Flégère. 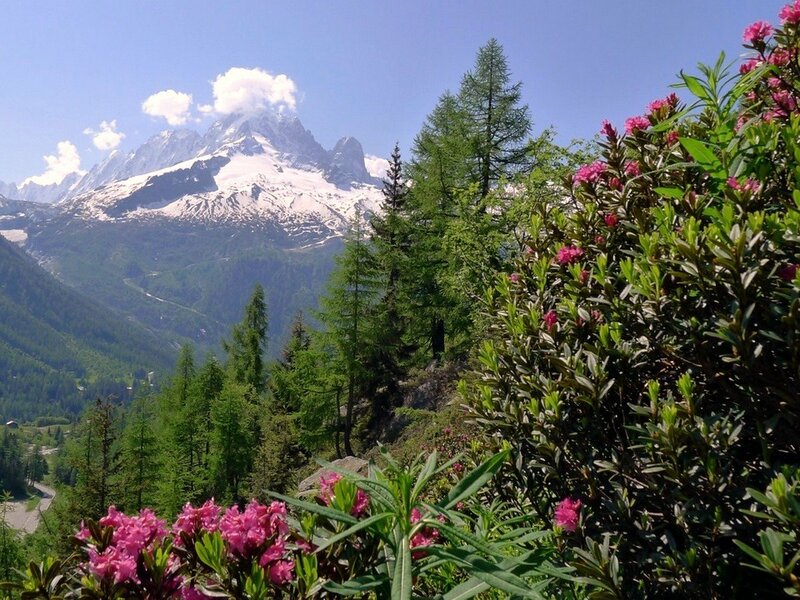 The descent from Lac Blanc is an easy and pretty hike from the rocky high alpine, through fragrant low shrubs like juniper, blueberry and alpine rhododendron. Eventually you pass a few small trees. The path, again, is very well marked and the views on the way down are equally lovely, facing Mont Blanc. In early summer there can be many beautiful flowers on this route. 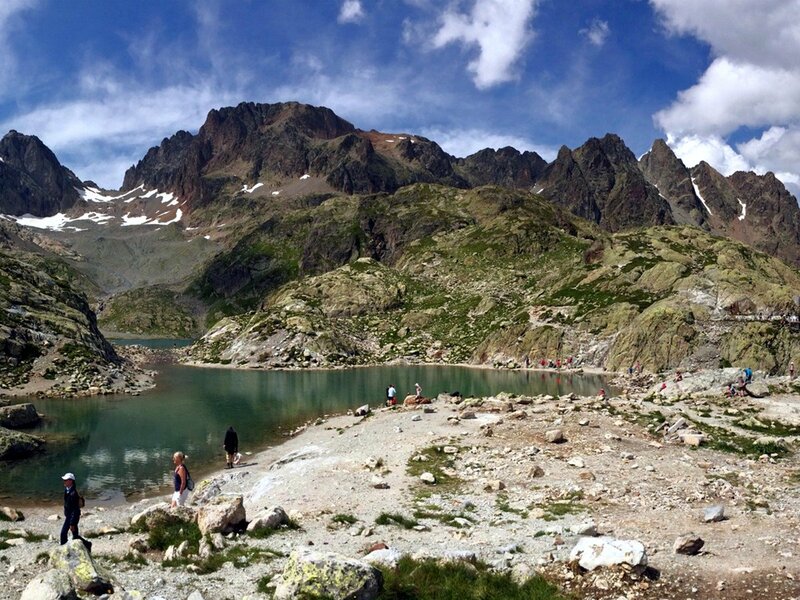 The hike to Lac Blanc can be done equally well in either direction, however the version we provide reduces the climbing. There is no getting around that the hike to Lac Blanc is hugely popular, and not a walk for magnificent solitude and contemplation. But it’s popular for excellent reasons. The atmosphere is generally cheery, becoming quite festive on holiday weekends. Nevertheless, we highly recommend an early start for this one. The small grocery in Les Praz will make sandwiches and serves coffee. 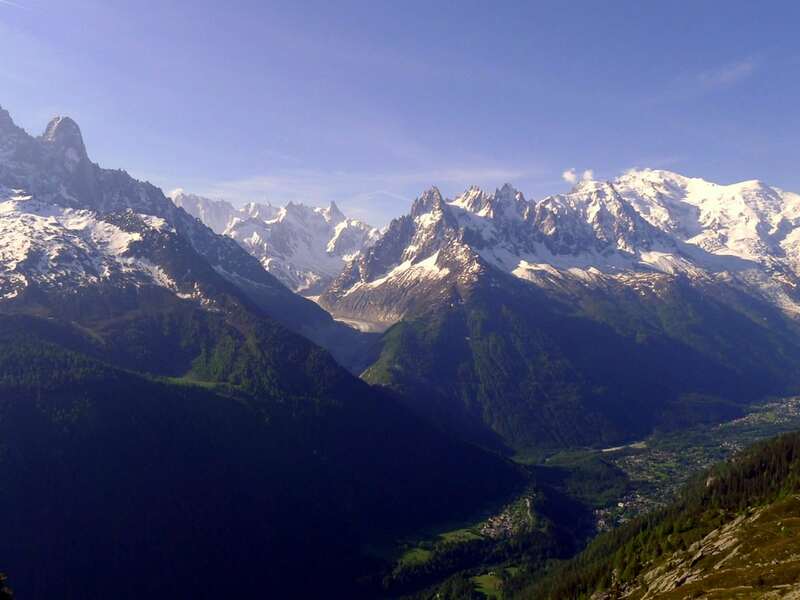 The hike to Lac Blanc takes you to high altitude, so it is not recommended for your first day in Chamonix, especially for children. In spite of the altitude it can get very hot in the afternoon, and there is little shade. Take plenty of water and a hat. 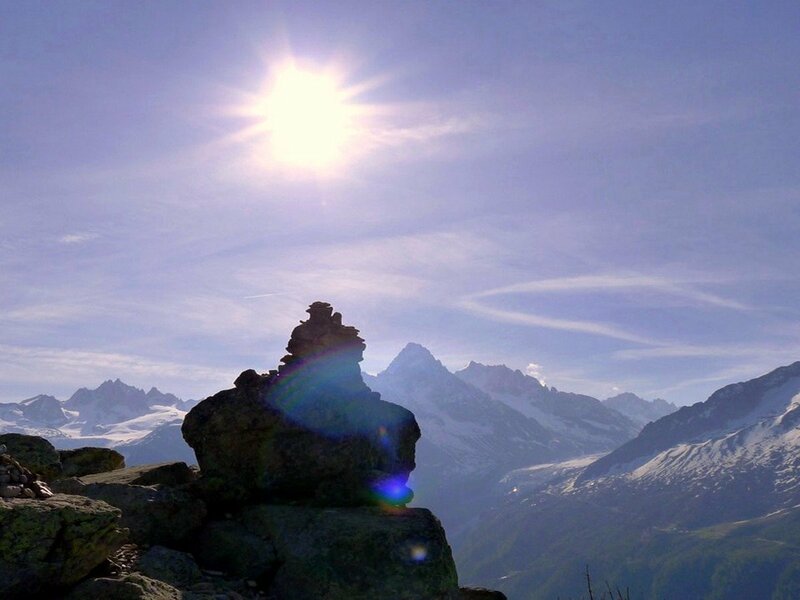 The hike to Lac Blanc can easily be combined with other walks for a longer day - notably the Grand Balcon Sud, or you can walk up from Tre-le-Champ. Seek out the tranquil old-fashioned gem La Prairie in Les Bois for a cool drink to wind down after the walk (10 minutes from lift) or get the bus back into town and stop at the MBC for a micro-brewed beer and nachos.